Sometimes, you just need some guidance on your career path. We’ve provided you with these resources to help. As always, if you ever need assistance, please contact us. Getting Ready for the Interview? There is nothing worse than the realization that you aren’t prepared for your interview. Take a few minutes and download our FREE Pre-Interview Worksheet HERE. Transitioning Between Careers? Just Getting Started? Searching for a job has changed. Do you have the correct marketing documents? Are you able to access the hidden job market and the strategies to employ before, during, and after a job interview? HIRED! is a proven, step-by-step job search course designed to empower you to answer these questions with confidence and land a job faster. Get HIRED! National Career Summit Learn how to get access to more than 30 leading job and career experts. » This Career Planning & Adult Development Journal special edition focuses on career communications: resumes, cover letters, LinkedIn profiles, bios, networking conversations, and interview messages – the now, the new, and the next – with guest editors Wendy Enelow and Louise Kursmark. Get access to your free Career Planning & Adult Development journal here! 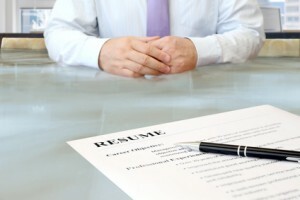 » How to Create a Resume that Lands on the top of the pile! This e-book helps you with the process of creating a powerful and strategic document that puts you ahead of the competition and lands on top of the pile. Order your book now!